Honda NSX confirmed for Detroit | What Car? The forthcoming Honda NSX supercar is to be revealed at the Detroit motor show. The NSX Concept will appear on the show stand wearing the companys American premium Acura badge, but a spokesman confirmed that the supercar would be made for Europe as well. There is no confirmed date of when the new NSX will make it to production, although it's expected to be launched in the middle of 2013. 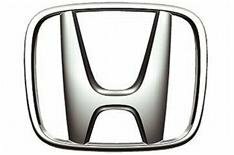 Sources say the new car is likely to use a tuned version of Hondas SH-AWD powertrain, which blends a V6 petrol engine and electric motor with a seven-speed dual-clutch transmission. There will also be two additional electric motors; one on each rear wheel. The Detroit concept car will show the styling direction for the Acura-badged car, but the Honda version is expected to be toned down. The original NSX was built between 1990 and 2005.